Triumph Over the Guemes Channel - Global Diving & Salvage, Inc.
Congratulations to Jean Andrich and Kara Fox on their successful swim across the Guemes Channel on Sunday morning, September 28, 2011. 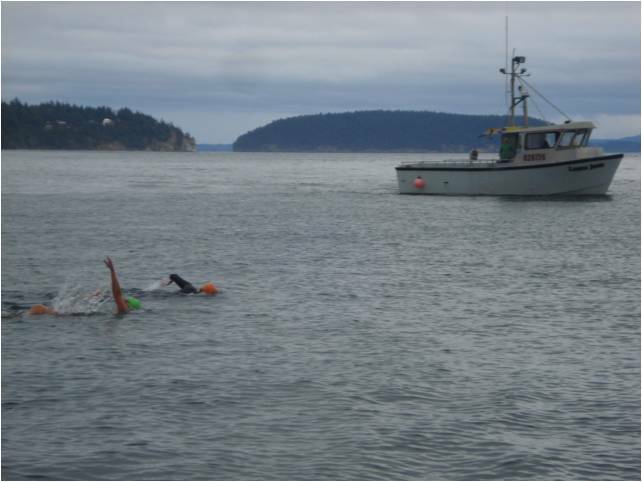 The 33-minute swim through strong currents and near 50 degree temperature was truly an accomplishment. We are extremely proud of their recent endeavor and were happy to be able to be involved.